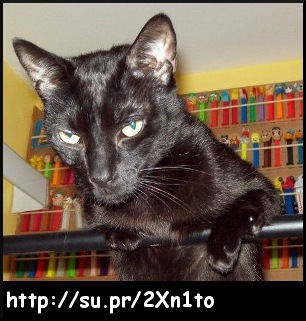 Are you looking for feline social media mavens to worship? Everyone knows that cats are smart, and they're certainly the most popular animal on the Internet. 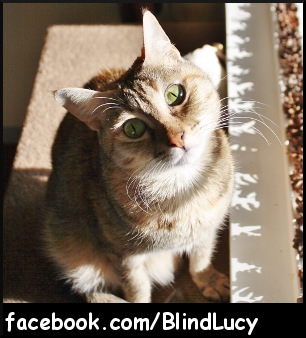 But did you know that many of these brainiac kitties are running their very own Facebook pages? Yep, these kitties run their own Facebook pages and serve up tons of kitty fun, pictures and cuteness on the social media giant. They also promote animal causes, discuss behavior and health topics, and get into trouble! Yes, some of them might be *norty kittehs* on occasion, and they invite you to follow their antics! Just don't tell their humans, OK? Make sure you Like them all! After you do that, their updates will start to appear in your Facebook News Feed as they post items to their Timelines. Make sure you pop on over to each page as well and leave a comment, say hello, and Like some of your favorite posts. 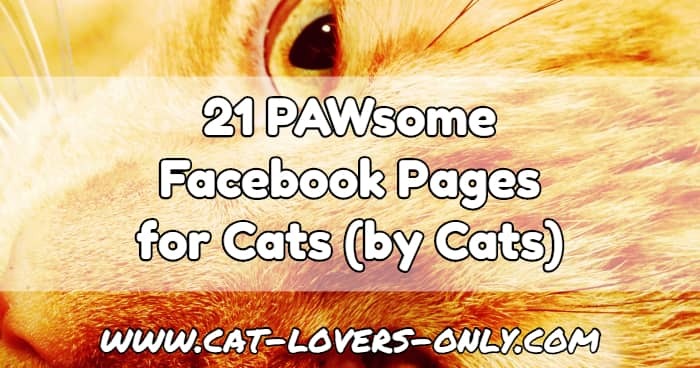 Tell them you saw their page at Cat Lovers Only. 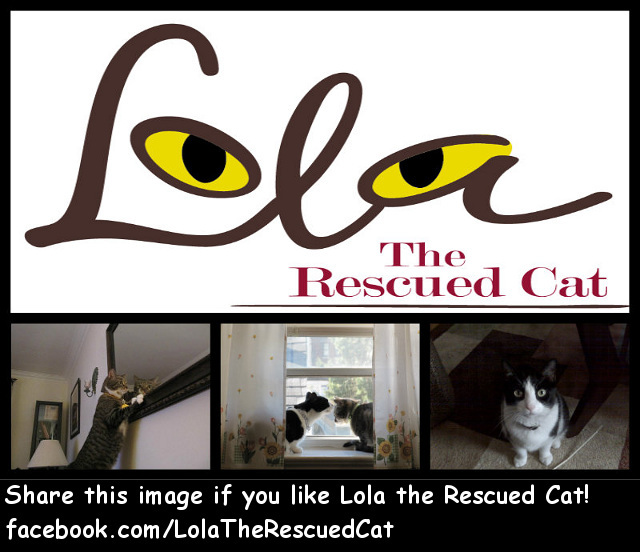 Make sure you like CLO on Facebook to be updated every time I find a fantastic new cat resource, photo or story. 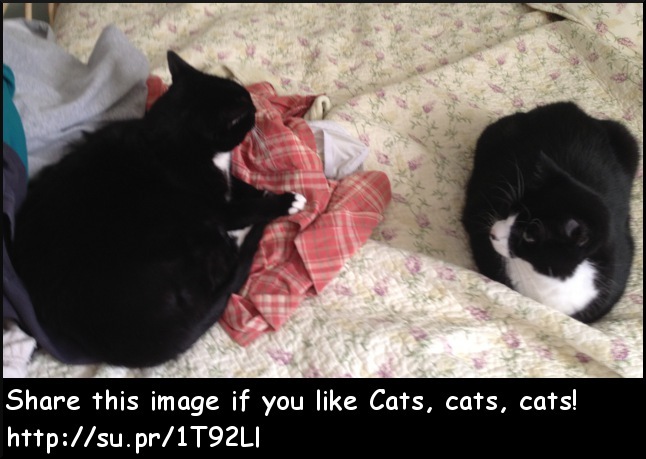 You never know when one of our visitors will post a CATabulous story of cat love, a cute picture or furry feline fact. Don't miss out. Get your cat on! How to Help Your Favorites Get Noticed! 1) First, Like this page so that we can help spread the word about all of these pages. The more people who know about this page, the more these FB pages will get known. 2) Next, Like each of the pages listed below. It's very easy for you to Like these pages... click the Like button under each of the photos on this page below. Note: If you don't see a Like button under the photo for a particular page, that page is offline for some reason. Please just skip it and go to the next one. 3) Then, grab some images and share them. Simply grab the large size images for each of your favorites and share them (links for that are clearly marked below each section). You're welcome to share them on FB, Twitter, Pinterest or the social network of your choice. Click on the links below to skip down on this page and read about each Facebook page. Then, click "Like" right underneath its photo. Click the Like button above to "Like" Boris's Facebook page. Click here to download a larger image for sharing. 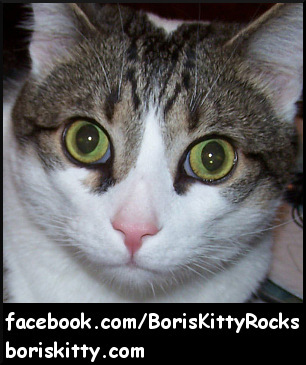 Boris has a bloggy of his own which he took over from his humans, and over 7,000 followers on Twitter. He's not yet as popular as Sockington, but he's getting there! Being a science fiction fan and very concerned about rescue kitties, Boris often raises money for rescues and holds an annual SCIFIpawty on Twitter. Click the Like button above to "Like" Brieti's Facebook page. 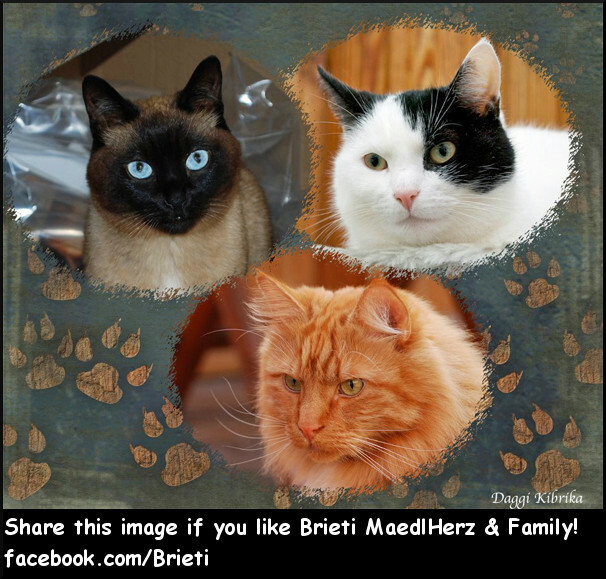 Brieti is a female cat from Germany who found a happy home with her rescue friends, Kascha, the Coonie and Kimba the Thai cat. 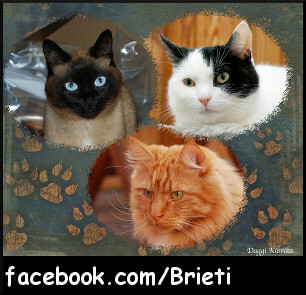 Brieti now runs her own page and invites cat lovers the world over to come view and share photos. 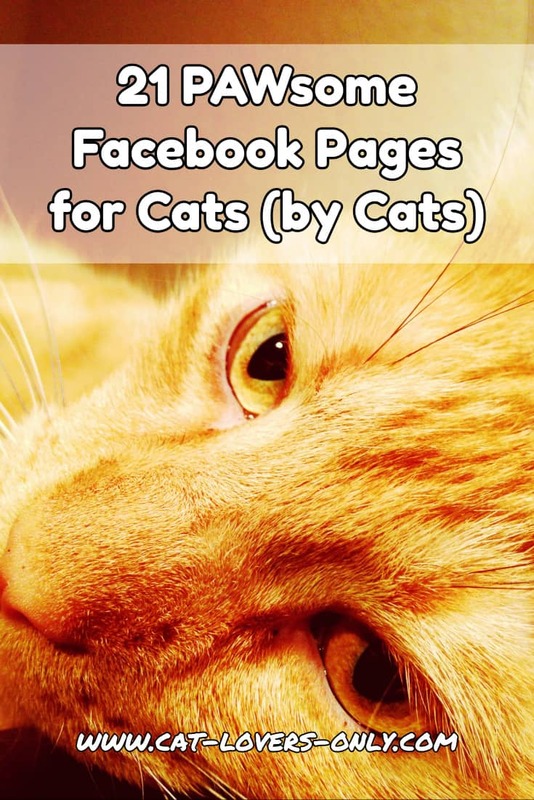 Click the Like button above to "Like" Cats, cats cats on FB. 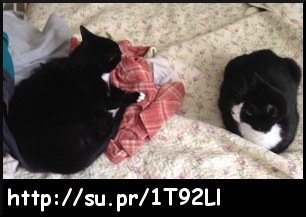 Two tuxedo cats, Stella (the mom cat) and Baby are living the suburban lifestyle and proving that everything is better with cats. If your tank is running low on feline photos or pictures of related arts, crafts and products, check them out. 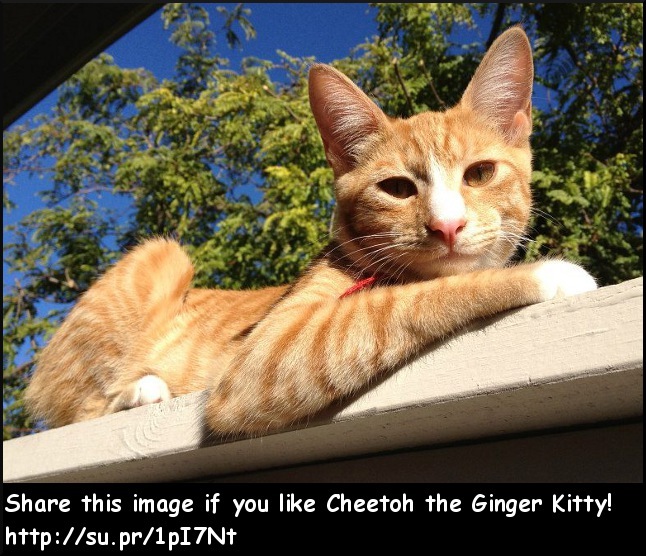 Click the Like button above to "Like" Cheetoh the Ginger Kitty's Facebook page. Cheetoh is a male Ginger cat, and proud of it. Cheetoh is very opinionated (can you say cattitude?!) and likes ice cream and fish flavored fish tank water. He also has been caught on camera chewing wet toothbrushes! 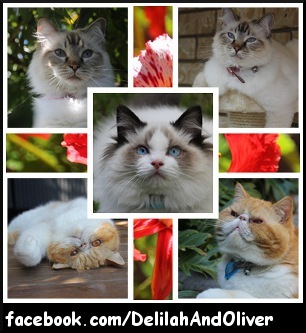 Click the Like button above to "Like" Delilah and Oliver's Facebook page. 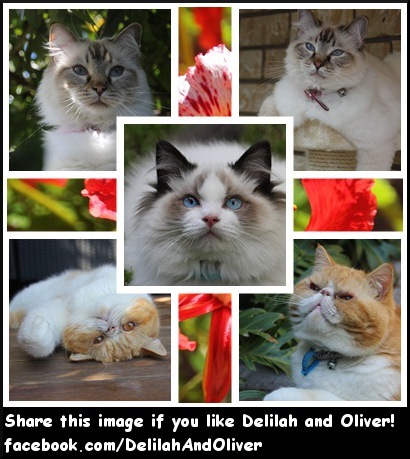 Meet Delilah the Ragdoll and her grumpy Exotic shorthair brother, Oliver, from Queensland Australia. They have a newer addition to the family as well, Max, a Ragdoll. These kitties have to put up with living with birds, doggies, and a fish, too! Can you believe that?! Click the Like button above to "Like" Feli's FB page. Feli is a female kitty adopted from a shelter near Stuttgart, Germany. 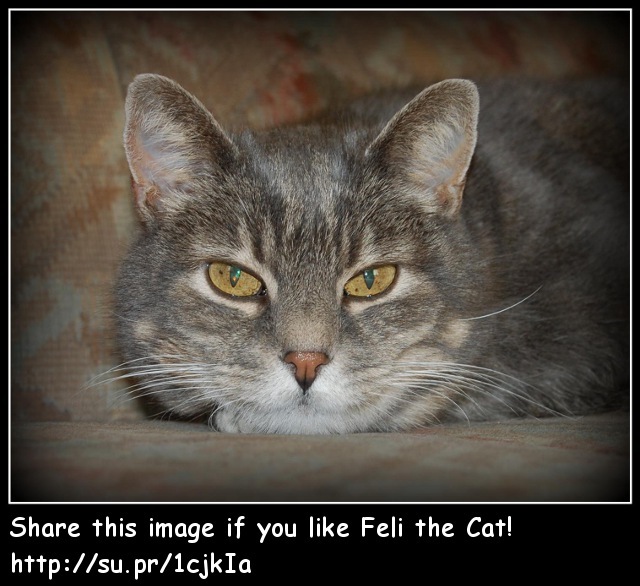 Feli often shares cute, funny and beautiful pictures of domestic and wild cats. In addition, she posts about wildlife and information on the environment, endangered cats and other animal welfare links. Click the Like button above to "Like" Flipper's FB page. Flipper is a rescue kitty and describes himself as a "black furry male cat." He's got a condition called radial hypoplasia. Cats with this condition are sometimes called "Twisty Cats" and their forelegs may be short and twisted. Flipper's mommy is very much into rescuing cats, which of course means that she gets the CLO seal of approval. In addition to having to put up with a human family and a mommy who rescues cats, Flipper has some fur-sibs too. Check out their adventures! 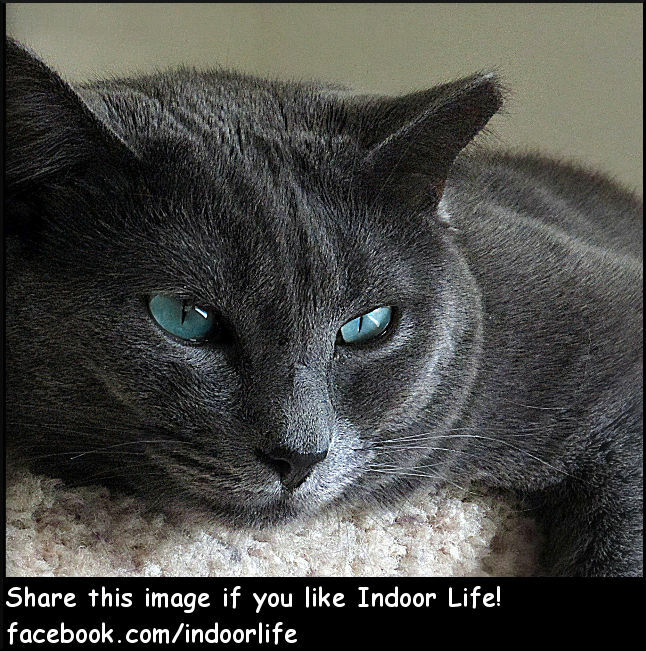 Click the Like button above to "Like" Indoor Life's Facebook page. 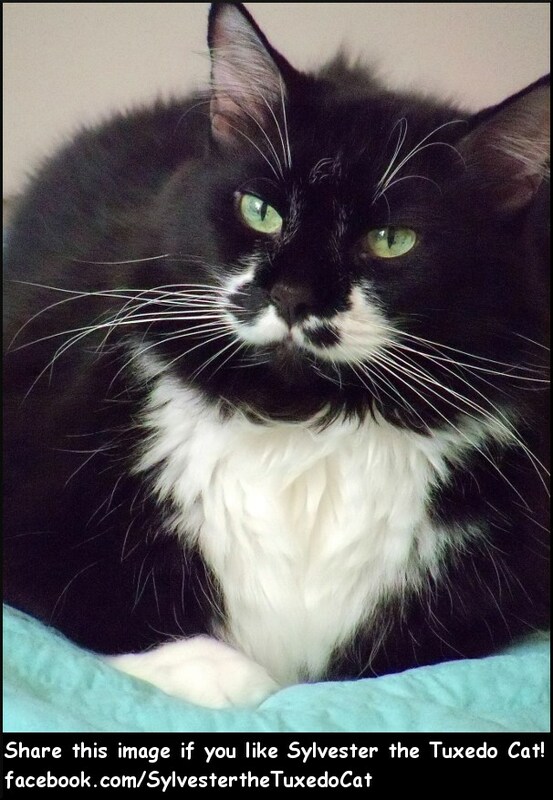 Moonbeam is an incredibly handsome formerly feral boy cat, now living a happy life indoors. 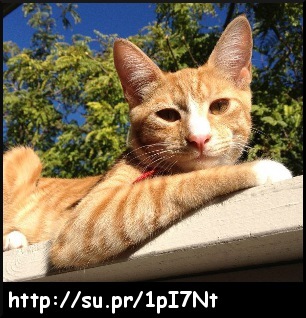 You can keep on top of his adventures with his indoor and outdoor feline family! 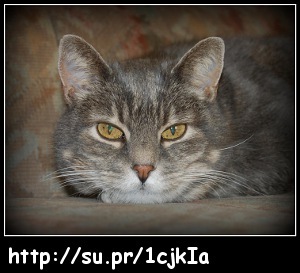 In addition, for your feline viewing pleasure, Moonbeam enjoys featuring stunning photos from various photographers. 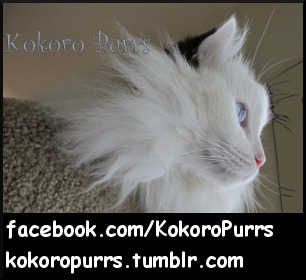 Click the Like button above to "Like" Kokoro Purrs on FB. 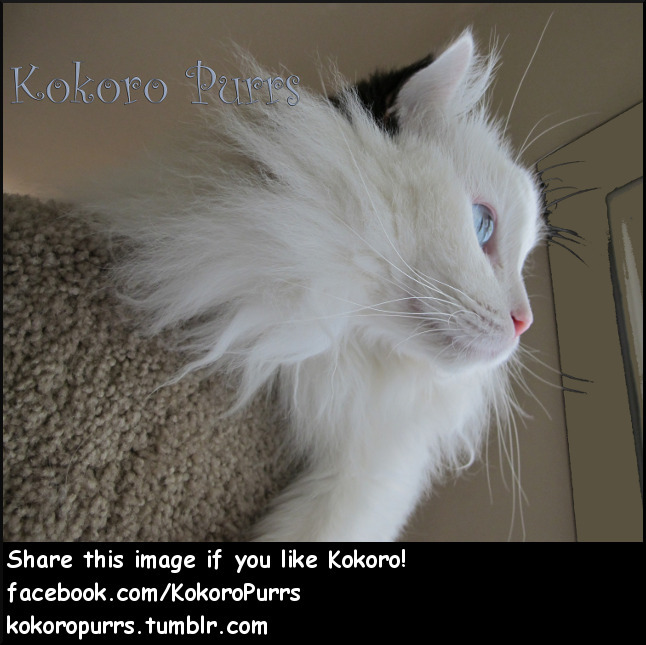 Kokoro is a beautiful, leash-trained bicolored seal Ragdoll and the inspiration for a Web comic. Kokoro has a "job" as an animal-assisted therapy cat. His human mom posts lots of pictures of his royal adorableness for your viewing pleasure. Like many Ragdolls, he has some dog-like (gasp!) qualities, and insists on going for a walk in the evening. Click the Like button above to "Like" Lola on FB. Lola is a brown, mitted tabby that was found in a dumpster at about 6 months old. Only about 3 lbs. at the time, she had a bad infection and had to be force fed. Luckily for Lola, some people have enormous compassion (strange but true) and with some help, she got past her medical problems. Now she has a loving home and a kitty pal named Lexy to hang out with. Lola would like to see pets kept out of shelters (me too! ), and her page is also, as she puts it... "a fun place where we can have fun and post funny stories and pictures about our pets." Click the Like button above to "Like" Lucy's Facebook page. Lucy the Blind Cat was found in a shoe box on the side of a desert road by a kind woman with a pet sitting service (pet sitters rock!). Lucy is blind but it's hard to tell by looking at her since she's so wide-eyed. She doesn't let her lack of sight get in the way of having fun and enjoys the same activities as her siblings. Follow her adventures on Facebook. 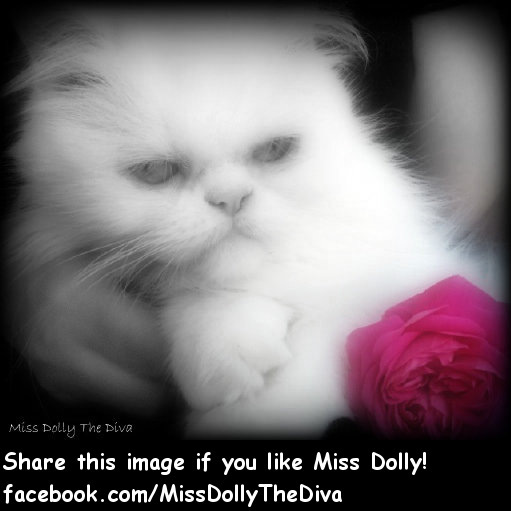 Click the Like button above to "Like" Miss Dolly's Facebook page. 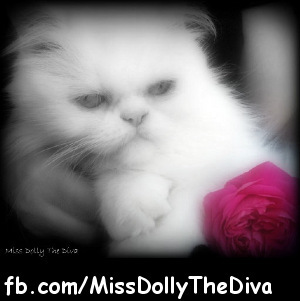 Miss Dolly is a white Persian who lived through the civil war in Libya. She lives with her son, Prince Harry and likes to give shout outs to cats who need to be adopted. 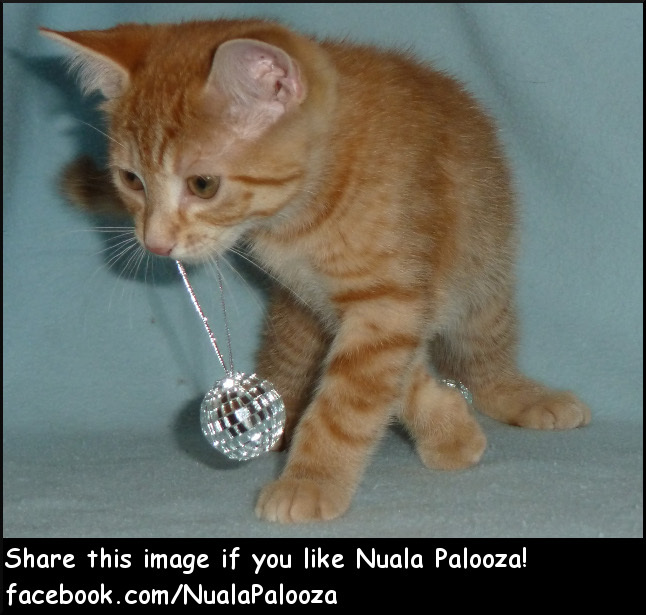 Click the Like button above to "Like" Nuala Palooza on FB. 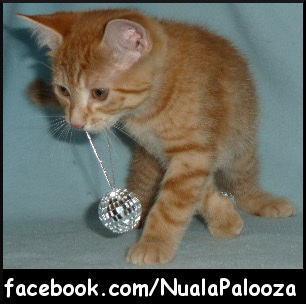 Nuala is a female ginger tabby who is fascinated by the shower, and toilets (admit it... you are too!). She lives with Mouci the calico, Shadow the black cat, and a mom and dad (I suspect those last two are her servants, but I have no proof). If you love kitties, but you're at a point in your life where you can't live with one (*sad face*), then Naula would like to be your virtual kitty. Follow her adventures! 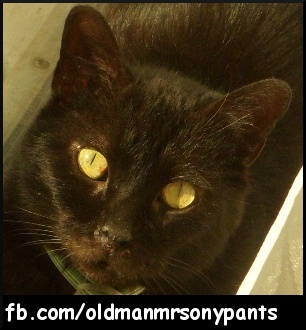 Click the Like button above to "Like" Old Man Mr. Sony Pants's FB page. 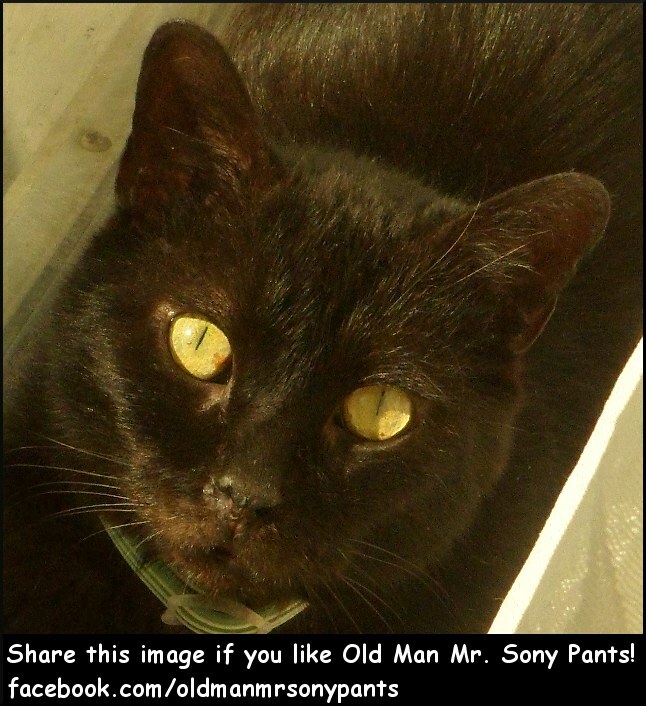 Old Man Mr.Sony Pants describes himself as being an "old man with humor and cattitude." That may be true, but based on his FB posts, he's very concerned about the welfare of cats as well. He's also very generous with his sharing of great photos from other Facebook pages. Sometimes funny, sometimes serious, but always catnip to your eyes. 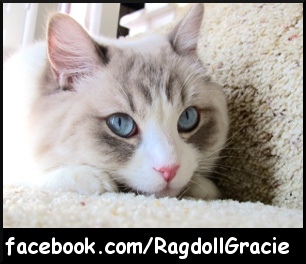 Click the Like button above to "Like" Ragdoll Gracie on FB. 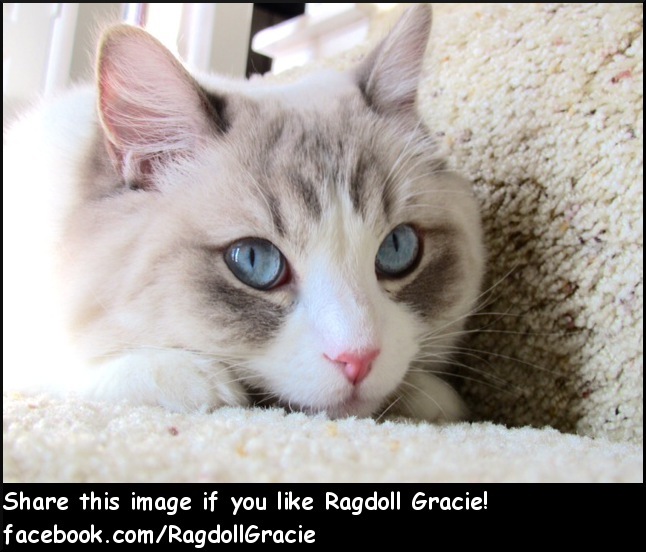 Gracie, a gorgeous lilac bi-colored lynx Ragdoll cat, was named after actress Grace Kelly, the former Princess of Monaco. She lives in Texas with her human family and an adopted fur-sib named Minnie. She and Minnie are best friends. Gracie's favorite food is Wellness, and she enjoys playing with Da Bird and hanging out in her 6 foot tall kitty kondo, which gives her access to some high windows. Fun! She likes being the center of attention, so I'm sure she'll appreciate it when you stop by her page and tell her I said "hi." 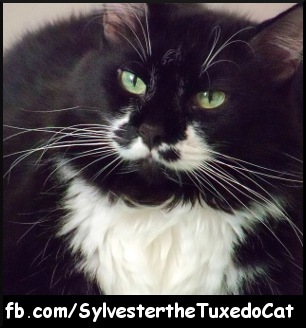 Click the Like button above to "Like" Sylvester the Tuxedo Cat on FB. Sylvester the Tuxedo Cat gave up the sometimes lonely and always difficult life of being feral for the cushy life of being coddled. As his handle says, he's all dressed up in black and white 24/7. He enjoys lounging in his antique rocking chair with a tuxedo cat pillow (perhaps it's good CATmoflage? ), and believes that if everyone had catnip there would be no war. Sylvester shares the vision that I do... a forever home for every cat. That's a tall order at this point, but we can do it! 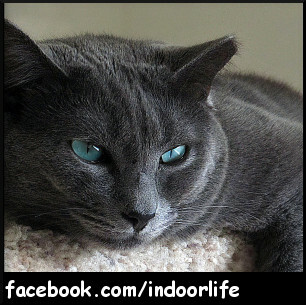 Click the Like button above to "Like" Tales from the Cat Tree on FB. If you like funny, furry, fuzzy and cute, you'll enjoy the posts by Midnight and Twilight. 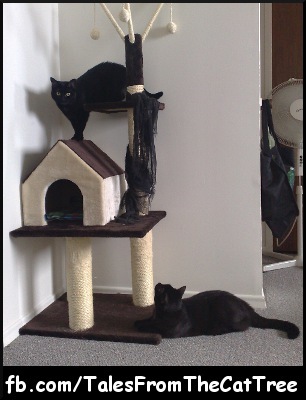 These are two black kitties doing what black kitties do... entertain humans! They do have a pawsome cat tree, too! Click the Like button above to "Like" The Magnificent 7 on FB. 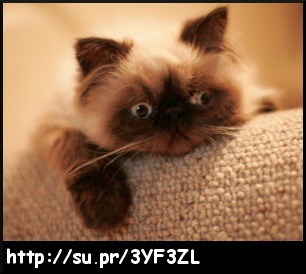 Tom the Persian is "almost famous" as he turned down the opportunity to appear in a commercial. Apparently there was a scheduling conflict with his nap time. Maybe he'll get a part in a movie one day! 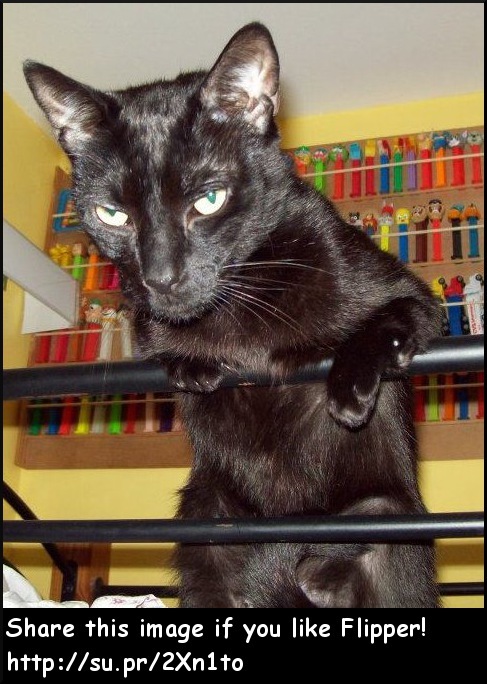 Purrhaps a starring role in an all feline version of the classic, The Magnificent Seven? You can say you knew him when. 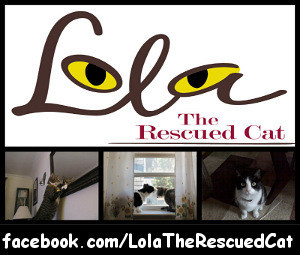 This page was originally just Tom, but now you can follow him and his fur-siblings, too in their feline adventures! 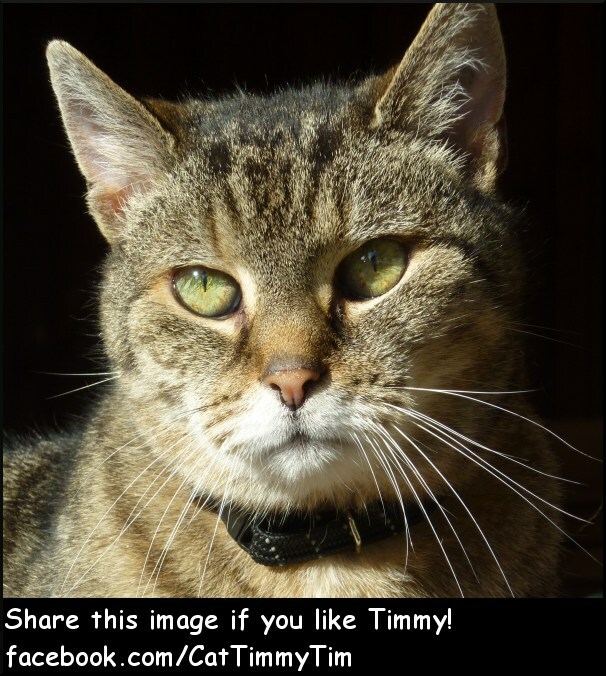 Click the Like button above to "Like" Timmy on FB. 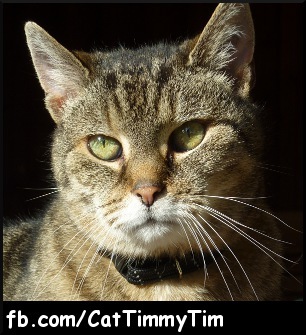 Timmy is a female cat (yes, a female!) from Germany. She was born in a farmhouse but now spends her time soaking up sun puddles and pleasing her fans. 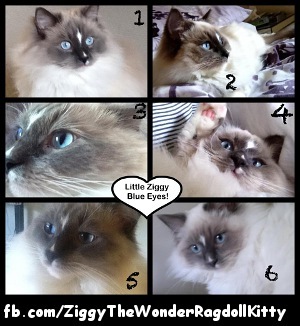 Click the Like button above to "Like" Ziggy on Facebook. 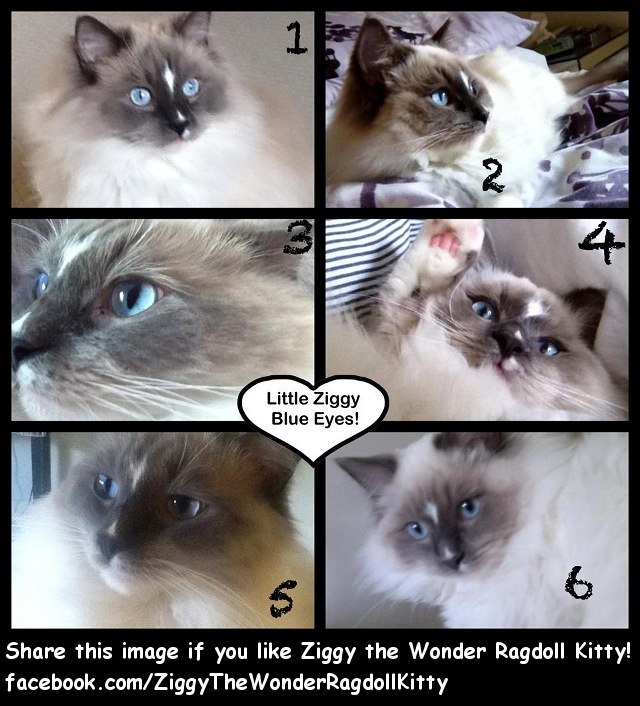 Ziggy is a male blue mitted Ragdoll with a beautiful blaze. He's from the UK (where there are lots of cat loving people!) and lives with a sisfur named Boudica. Ziggy was named after Ziggy Stardust, and enjoys sharing photos of himself, growing his fan base and raising money for charity. Make sure you check out some of the before and after pictures so you can see how he's turned into such a big fluff ball! 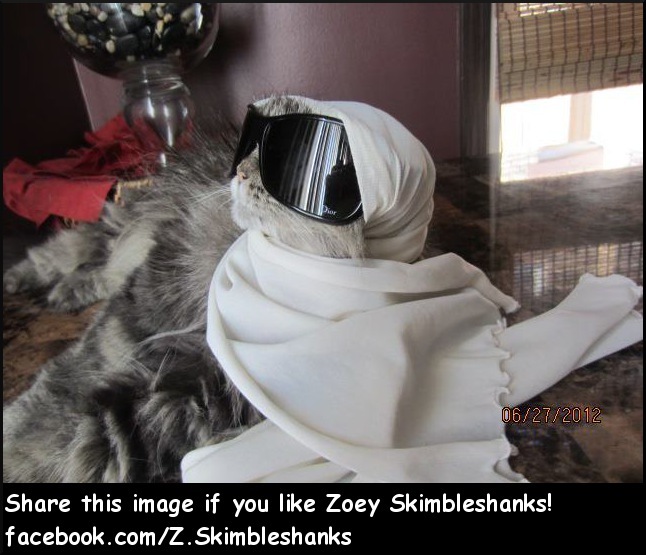 Click the Like button above to "Like" Zoey Skimbleshanks on FB. 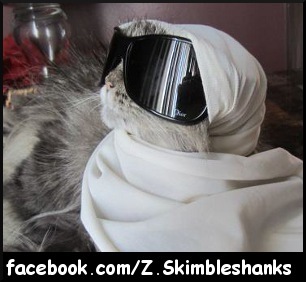 Zoey Skimbleshanks is a rescue cat who believes that rescue animals deserve to be loved (cheers to that!). Judging by her outfits, Zoey is one cool cat and, in my opinion, is destined to be "discovered" and headed for Hollywood. She may even marry a billionaire one day. You'll often see photos of her wearing some unusual get up posted to her page. Did you miss my previous roundup? Check out these great pages!